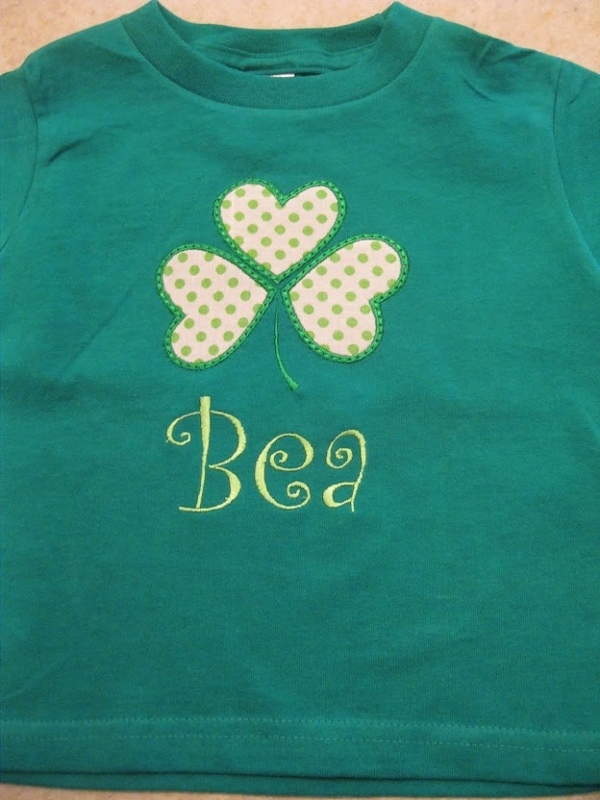 Cute Shamrock applique and name on shirt or onesies. 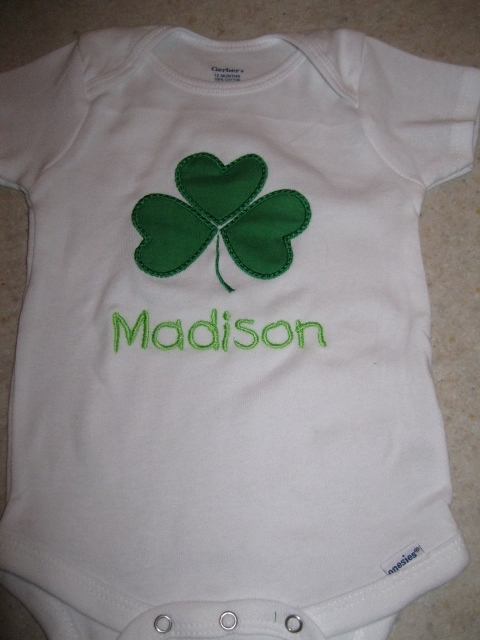 Want something special?? Just email me!! 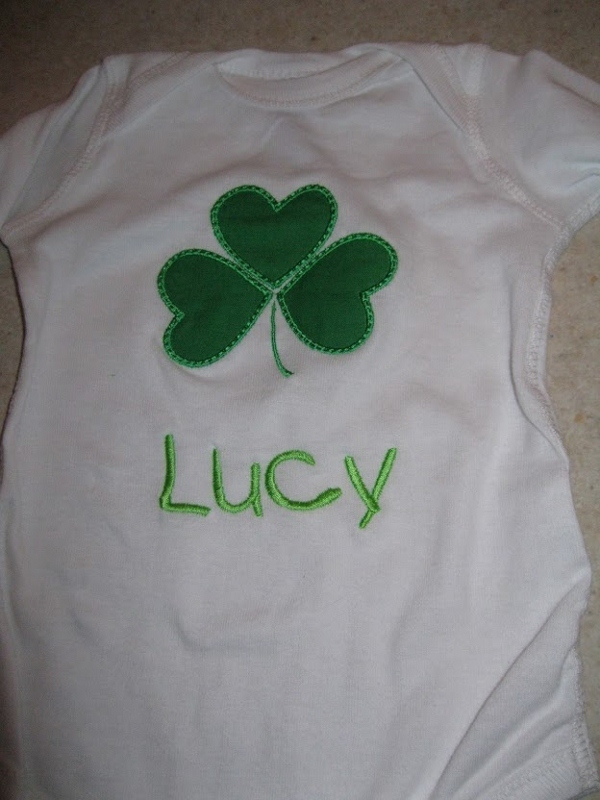 Can get matching bows too! !